A while back, we told you about the smart hotel that featured a staff comprised mostly of robots. This all-automaton enclave seemed an interesting way to kick off what will surely be a swath of service-bots interacting with humans of the future for their comfort and entertainment, and now, in partnership with their host park, the game has been stepped up. Welcome to the Robot Kingdom. According to the Nikkei Asian Review, the Dutch theme park Huis Ten Bosch (based in Japan) will soon host 200 different robots to enthrall, entertain, and (of course) mix drinks for their human visitors. The park is already pretty damn good at handling electrical excellence. 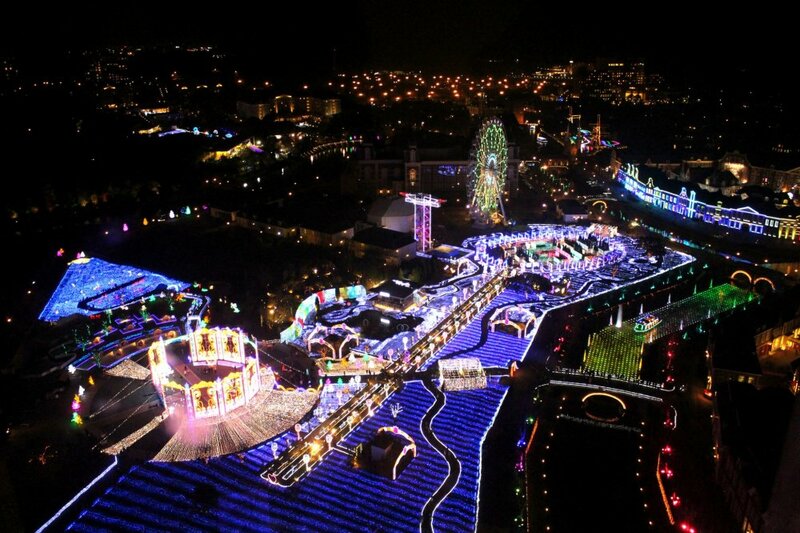 Pictured here is the Huis Ten Bosch "Kingdom Of Flowers And Lights." "Robots will arrive in this kingdom one after another, and the time will come when those technologies will be in use worldwide," Hideo Sawada, president of the Huis Ten Bosch. Sadawa also expressed that the initiative "will bring international enterprises together to further robot development." The Japanese are super into this. This image was pulled directly from the event page on Huis Ten Bosch's website. 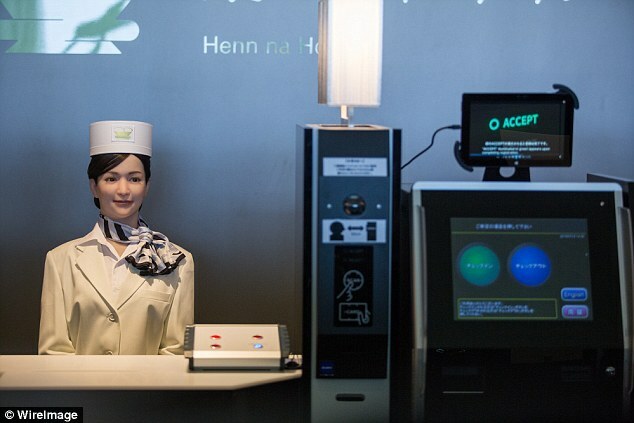 Currently the robots working at the Henn Na "smart hotel" near the Nagasaki Prefecture theme park have been able to greet and check in guests, give information, haul luggage, and effectively replace around half of the human staff. That might sound scary, but it keeps the costs down, and enables the hotel to maintain a 90% occupancy rate. Well, she seems pleasant enough...if you like interacting with humanoids. 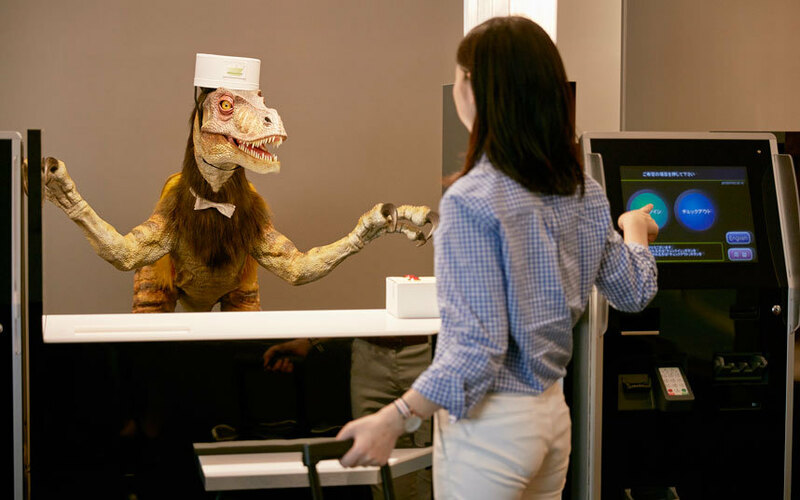 A day pass to Huis Ten Bosch costs 6,500 yen (around $59.33), and will allow guests to touch and interact with the robots (APPROPRIATELY, PLEASE, HUMANS. There'll be more robots made for those other service jobs.) They intend to commence the robot invasion this July. Hail to the new robot overlords bartenders and busboys! Robots make even our weirdest dreams a startling, hilarious reality. This is a completely real image from the Henn na Hotel, BTW. I want you to thank for your time of this wonderful read!you will be a great author.Thanks for your researched posting !